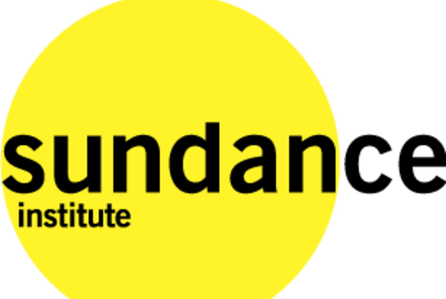 Sundance Institute announced the five directors who will gather at the annual Sundance Institute | Luma Foundation Theatre Directors Retreat in Arles, France, from July 12-23, 2018. The Retreat was developed in 2013 as an opportunity for mid-career directors to meet, work on upcoming projects and to share ideas and practices across borders. In addition to organized confabs and unstructured work time, the group will participate in cultural outings -- including a performance of Theatre Lab alumnus Ali Chahrour’s May He Rise and Smell the Fragrance at the Festival d’Avignon, exhibitions at the Rencontres d’Arles and the Vincent Van Gogh Fondation Arles as well as an excursion to the Camargue’s Tour du Valat. The Fellows selected for this year’s Retreat and detailed below are: Omar Abi Azar (Beirut), Lina Abyad (Beirut), Oliver Butler (New York), Leah Gardiner (New York) and Loretta Greco (San Francisco). Omar Abi Azar is a theatre director and founding member of Zoukak Theatre Company. He was the dramaturge and director of several of Zoukak’s performances. Since 2008, Omar leads psychosocial interventions with Zoukak, targeting various communities in different regions of Lebanon and abroad (in Serbia and in Calais’ Migrants’ Camp, France); giving drama-therapy workshops and creating collective performances with various groups. He co-curates “Zoukak Sidewalks” an international platform of performance, and “Focus Liban” a showcase of the work of local artists in Lebanon. In 2004, Maja Hoffmann created the Luma Foundation in Switzerland to support the activities of artists, independent pioneers, and organizations working in the visual and performing arts, photography, publishing, documentary filmmaking, and multimedia. Envisioned as a production tool for Hoffmann’s multi-faceted ventures, the Luma Foundation produces, supports, and enables challenging art projects committed to an expansive understanding of environmental issues, human rights, education, and culture. In 2013, Hoffmann launched Luma Arles to plan, develop, and manage the Parc des Ateliers an expansive former industrial site located in Arles, France. Situated adjacent to the city’s UNESCO World Heritage sites, the Parc des Ateliers serves as the major programmatic and cultural center for Luma’s diverse activities. Luma Arles includes a resource center designed by architect Frank Gehry; various industrial buildings rehabilitated by Selldorf Architects; and a public park designed by landscape architect Bas Smets. In anticipation of its completion, the site’s main building designed by Gehry will open spring 2020, Hoffmann works closely with the Luma Arles Core Group (Tom Eccles, Liam Gillick, Hans Ulrich Obrist, Philippe Parreno, and Beatrix Ruf) on a program of exhibitions and multidisciplinary projects presented each year in the site’s newly rehabilitated venues of the Grande Halle, Les Forges, La Formation and the Mécanique Générale.